List of Important National & International Commemorative Days for the Month of March. 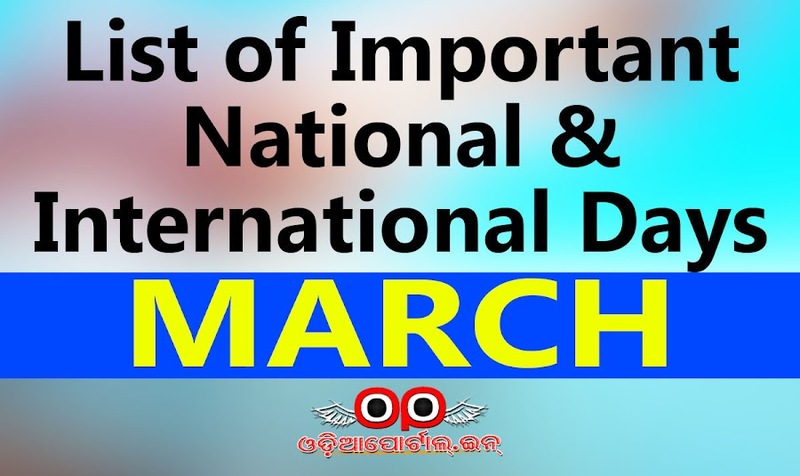 National & International Commemorative Days "March"
The following are Question PDFs of CHSE, Odisha +2 Final Year Exam 2019 (Arts/Sc/Com). The following are Question PDFs of CHSE, Odisha +2 Final Year Exam 2017 (Arts/Sc/Com).